Comments: This hybrid tea rose blooms are creamy-white with a tint of pink along the edges of the petals. 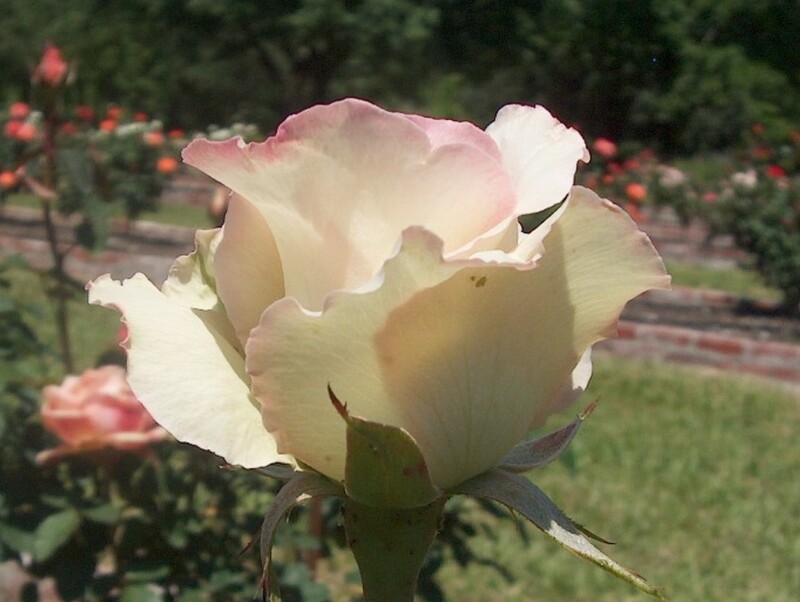 As with all hybrid tea roses be alert to several pests that often attack roses. These include black spot, aphids, spider mites, and thrips.